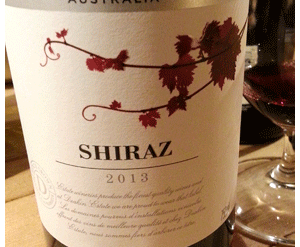 A few decades ago there was a tasting held in Paris to select the world’s best Cabernet. At that time, California was starting to make claims that their wine was better than Bordeaux – the home of Cabernet. The tasters were French, and when the results were tabulated, the wine world went into shock. Both France and Bordeaux were losers – the winning wine was from Spain: an expensive Cabernet produced by Torres and called Mas la Plana. 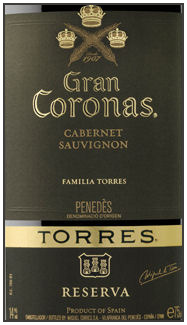 Mas la Plana is neither available nor in most peoples price range, but Torres produces a more affordable Cabernet called Gran Coronas, that’s also capable of surprising with its quality. The 05 vintage is as dazzling as a Broadway musical – lots of richness, plushness and very seductive spicy/sweet flavours. An irresistible combo of power and charm. Best with hearty food.